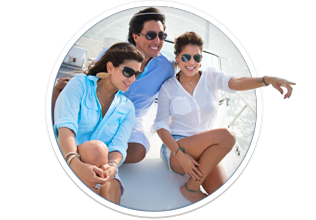 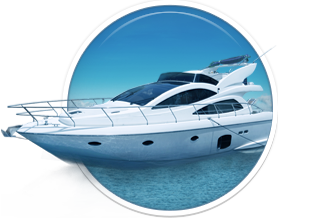 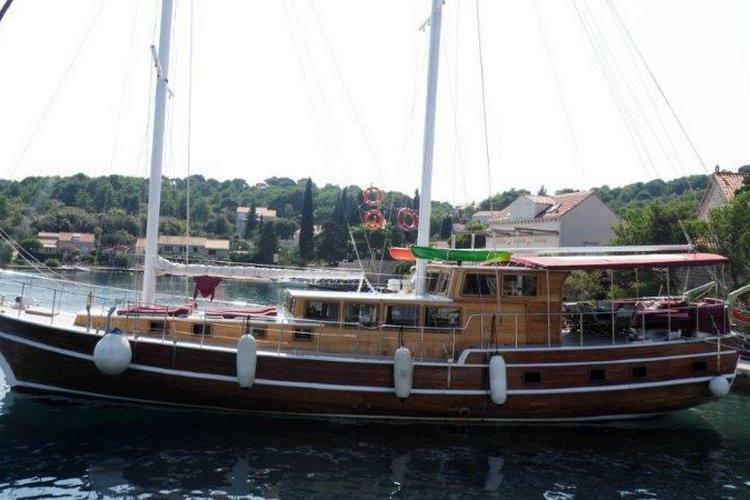 The boat is available in marina: Split, Trogir, Sibenik, Zadar, Dubrovnik. Gulet ‘Krila 7′ is a traditional-looking, two-mastered wooden sailing boat designed for comfortable and relaxed holyday. 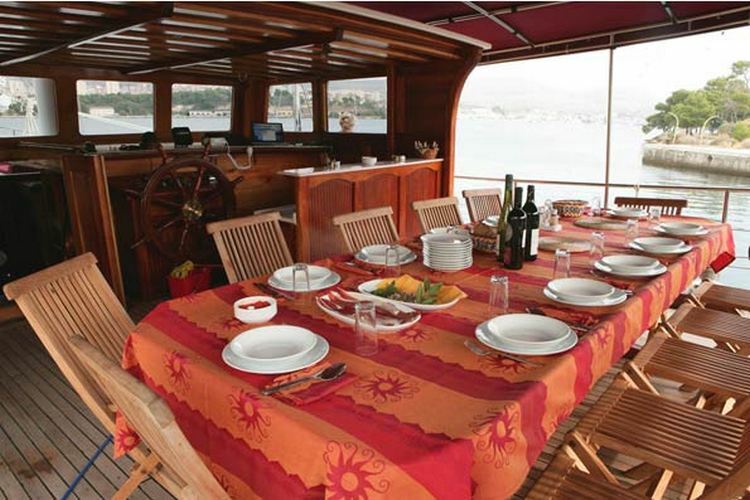 The safe decks have high bulwarks and spacious open areas.. 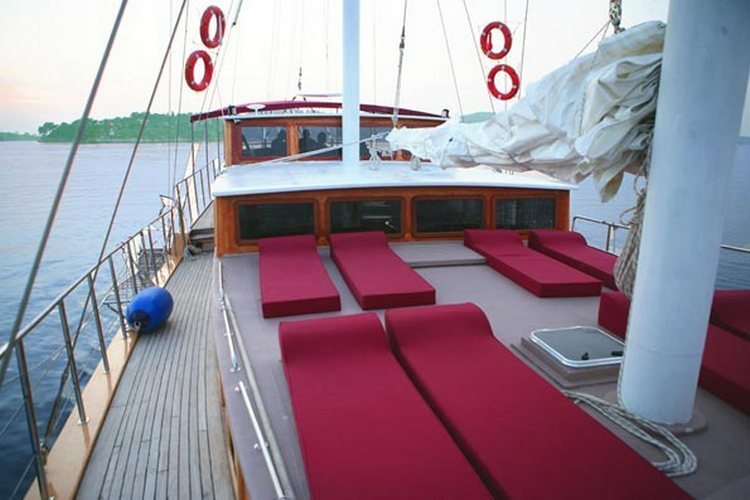 The front deck or ‘bow’ is fitted with comfortable sun-beds for the ultimate sunbathing. 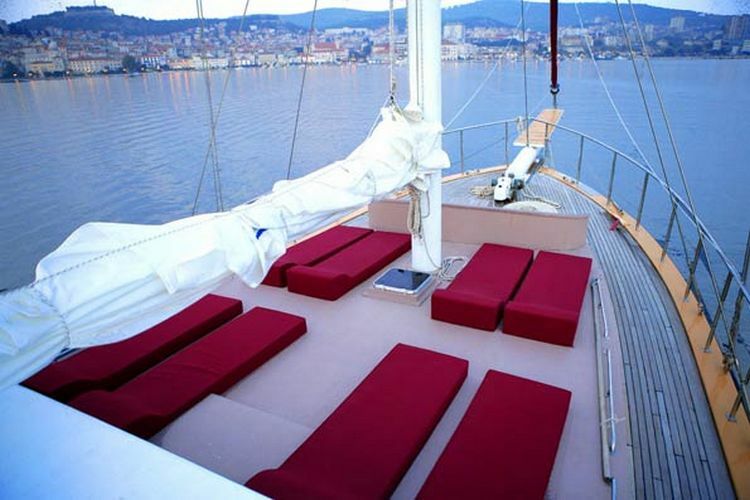 And back deck or ‘stern’ is protected by sun awning and provides large resting area with outside bar. 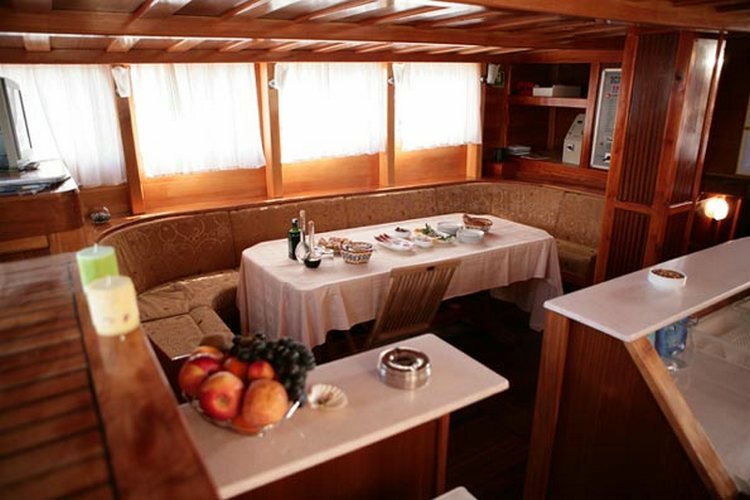 The mid-section of the vessel has an indoor spacious and comfortable air-conditioned salon with lounge and another bar area. 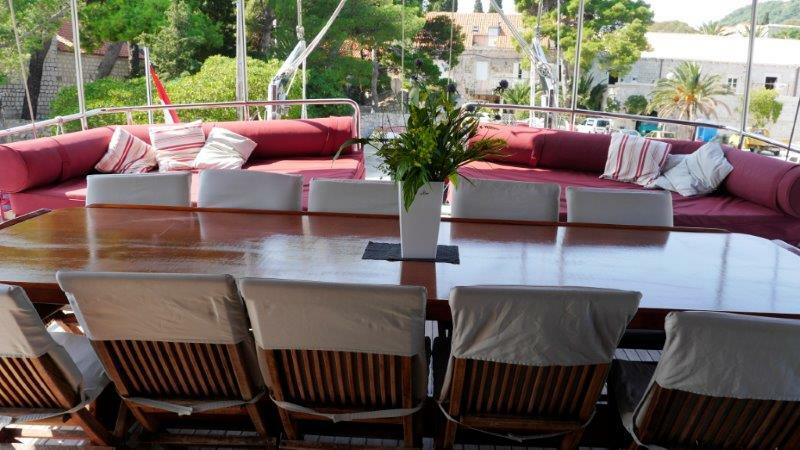 The decks and salon provide plenty of room for reading, lounging and undisturbed relaxation. 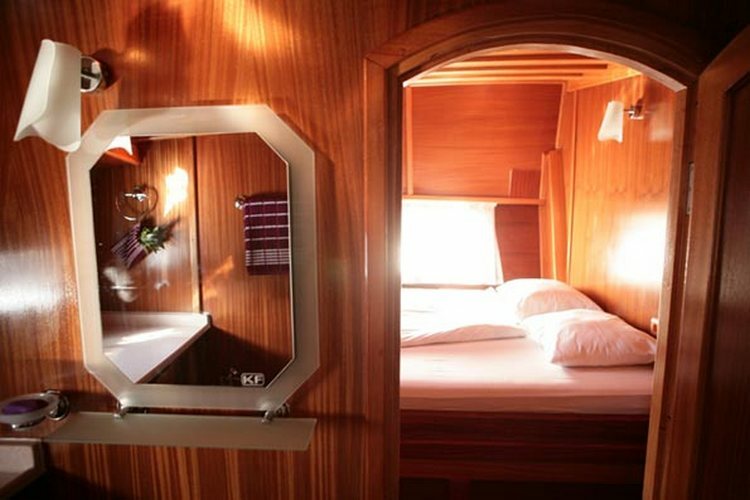 There are six air-conditioned passenger cabins with twin double beds, each with its own storage space and window. 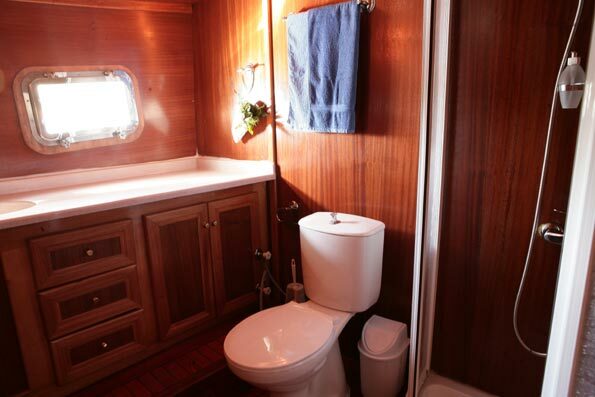 Every cabin has a full en-suite bathroom, with normal full sized toilet, shower cabin and washbasin. 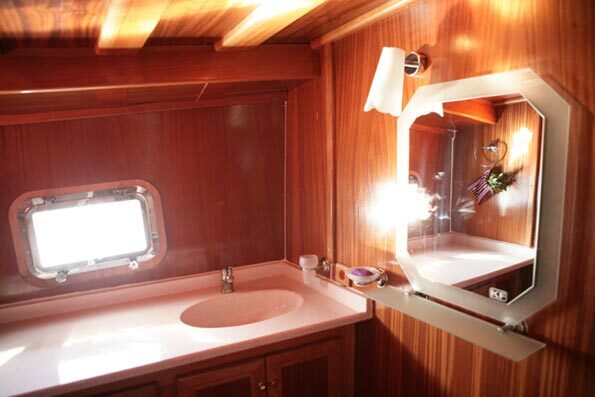 Every cabin is electrified (220v, 24V). 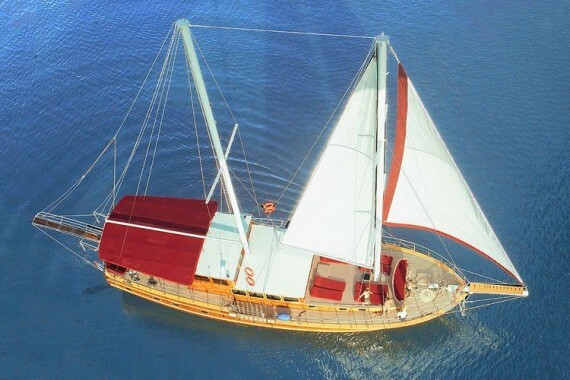 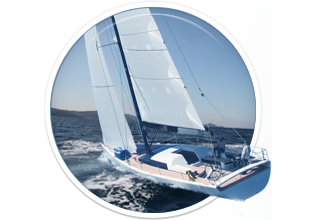 Here you can find basic information about Gulet Krila 7. 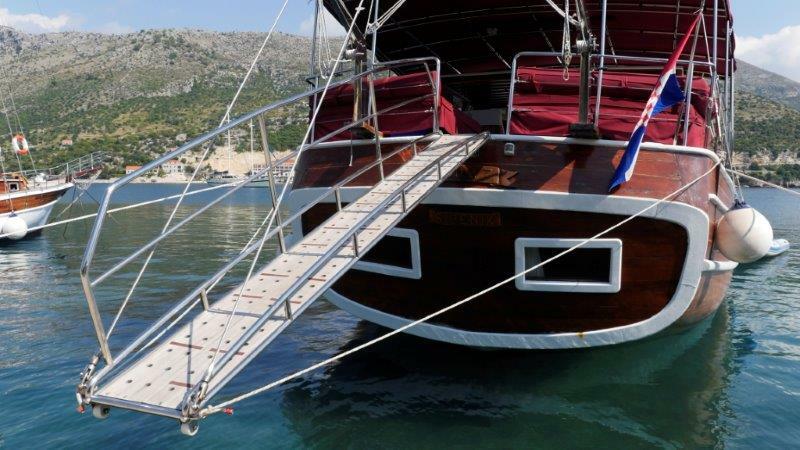 Other specifications, can vary from boat to boat, therefore we recommend to search for particular Gulet Krila 7 from our database, in the destinations of your preference.